Last edited by AdultCollector on Sun Jan 22, 2012 6:55 pm, edited 10 times in total. 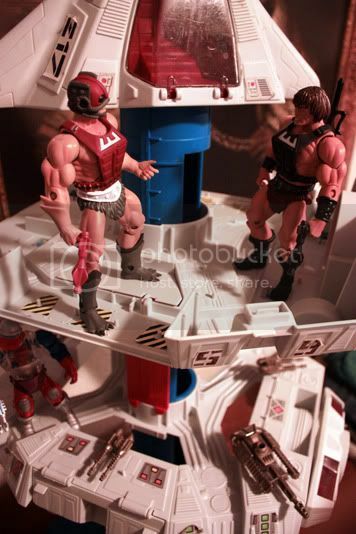 This was a used Starship Eternia playset I bought a while back and ended up returning due to some issues I had with its condition. Very excited to soon be showing off my new playsets! 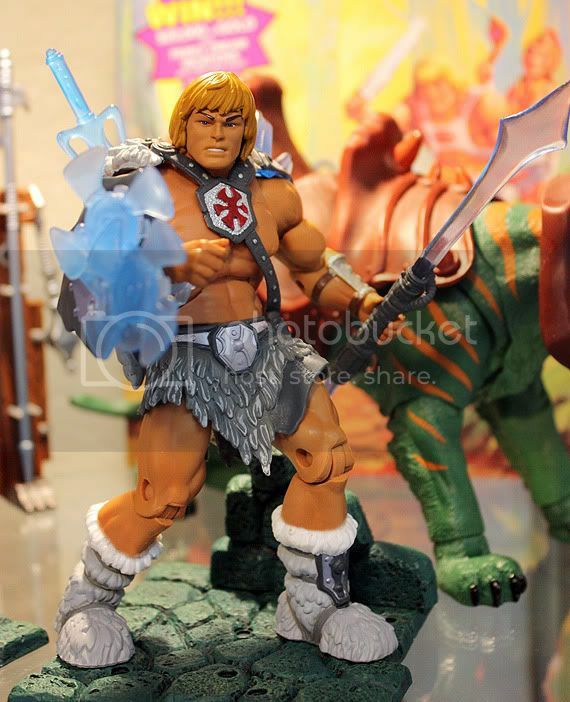 My finished Ice Armor He-Man figure! Last edited by AdultCollector on Sun Jan 22, 2012 7:20 pm, edited 6 times in total. An incredibly awesome painting that a great friend won for me at an auction in Seattle. Last edited by AdultCollector on Sun Jan 22, 2012 6:27 pm, edited 2 times in total. 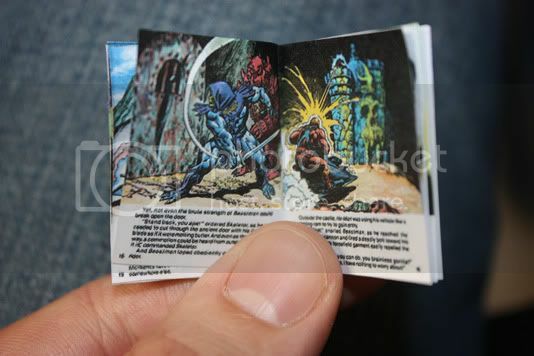 One of my favorite creations - miniature mini comics! I'm hoping to make templates for all of them eventually. Right now I only have about five or six of them finished. Last edited by AdultCollector on Sun Jan 22, 2012 6:38 pm, edited 6 times in total. Nice collection dude, love all of the figures you have and it's nice to see your a customiser as well. Wow. Great stuff. Awesome customs and fantastic photography. 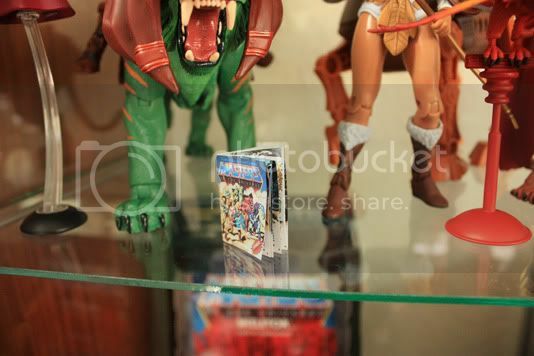 I'm not a big fan of MOTU, but I have to say these photos of your collection are amazing. I truly enjoyed them and sure hope to see more from you soon! Location: BANG! BANG! BANG! BANG!.. 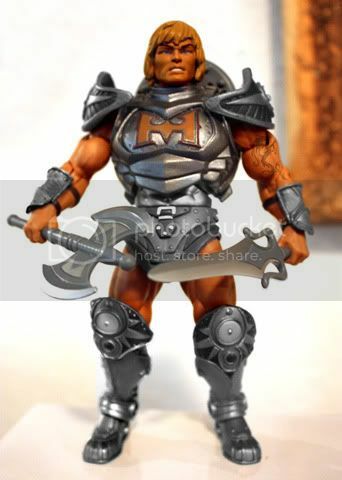 awesome awesome picturesi didnt know there was new versions of he man figures bossywog another thing ill have to collect lol! "My common sense is tingling." Thank you so much for the replies! Makes my hobby even more fun. 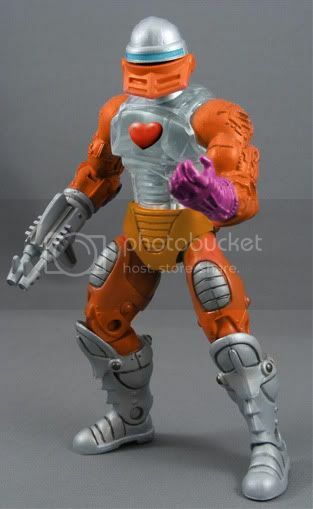 He is an idea I had for a custom figure. I call him Cosmic Skeletor. He carries a custom ordered sword and shield made by Spymonkey Creations Inc.! 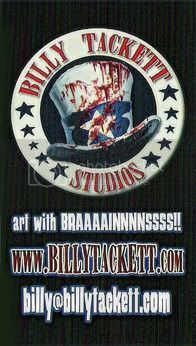 Last edited by AdultCollector on Sun Jan 22, 2012 6:44 pm, edited 4 times in total. Those are some great pics and great customs!! Just want to ask, what hood did you use for this Skeletor? It looks great and it's just how I want my one to look, so any chance can you share what you did? Also, I really like the flocking you did on Panthor, it makes it much closer to the original. Just an idea, but have you thought about flocking Prince Adams tunic as that was felt on the original toy? Not sure if it would work or needs it but it might look good. 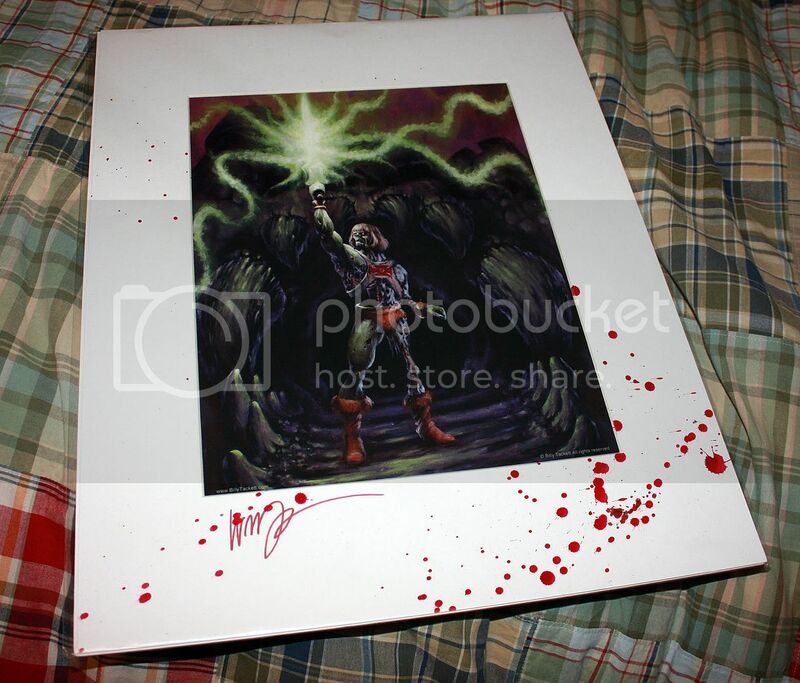 great pics again but no wasnt him think he was something to do with the horde and think the original one from 80s actually glowed in the dark well his bones did anyway but those horde soldiers look totally stunning compared to originals im after em! @Deadpool: Oh you're talking about Scareglow! 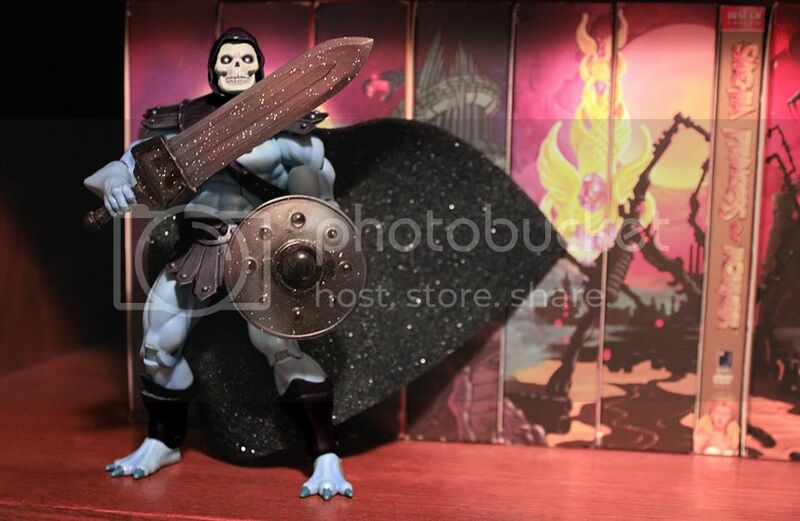 @elvis8batman: Skeletor's head (hood and all) was made by a member on the He-Man.org message board named TIN. Wow, that is a brilliant idea you have to flock Prince Adam's vest! Probably way better than my idea to make a cloth one. I'll get right on it. I'll need to take some better photos of the flocked Gygor, too. 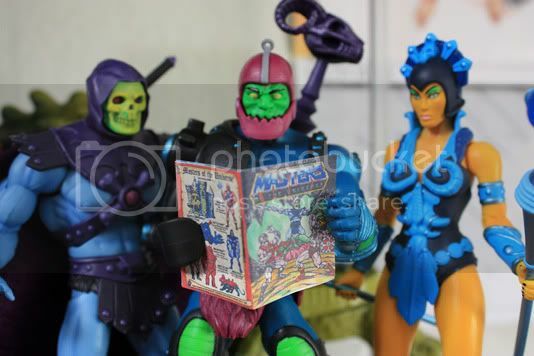 I had a look over at He-Man.org message board but couldn't find the post for the Skeletor head, any chance you can find out for me what he used? 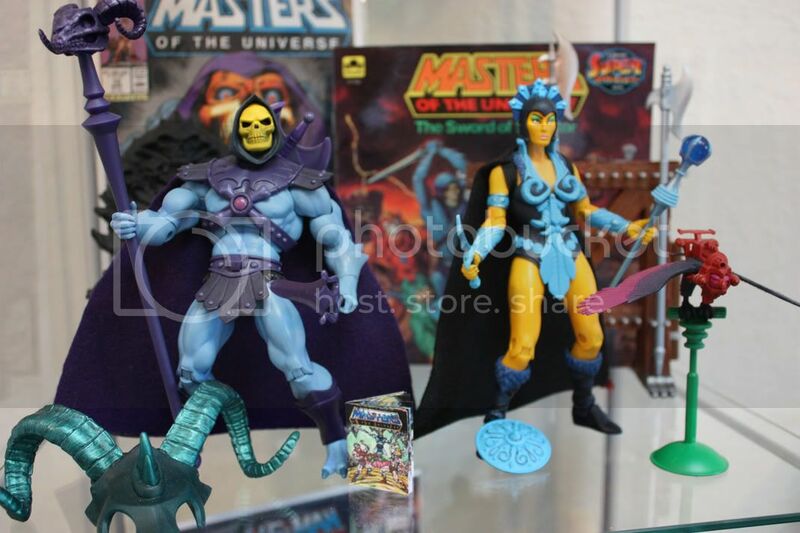 I don't plan on customizing many of my MOTUC figures but I really want my Skeletor to have that head as the hood looks do much better. Oh, and look forward to seeing how you get on with the flocked vest for Prince Adam,. The Panthor you did looks awesome so the vest should be way easier.